Located in the popular "Groves Golf and Country Club", this well-maintained courtyard home overlooks a lovely conservation area. The home features two bedrooms, two baths, and an efficient den/office with built-in cabinetry. It offers a two-car garage with a cart bay, and an oversized screened and pavered lanai with an above-ground hot tub. When originally built, the rooms were extended in order to gain more spacious living areas. At the gated entry is a pavered walk, a professionally landscaped courtyard, and custom awnings. The interior is most spacious with separate living and dining areas, and an oversized kitchen with a large center island, corian countertops, and beautiful maple cabinets. Other upgrades include lovely custom murals, crown mouldings, ceiling fans, and custom window treatments. The master suite has bay windows with a view of the conservation area, and a built-in closet system. The split-bedroom plan offers privacy with guest bedroom and bath at the opposite end of the home. Home has been recently painted inside and out. In 2014, a new AC system and new windows were installed. 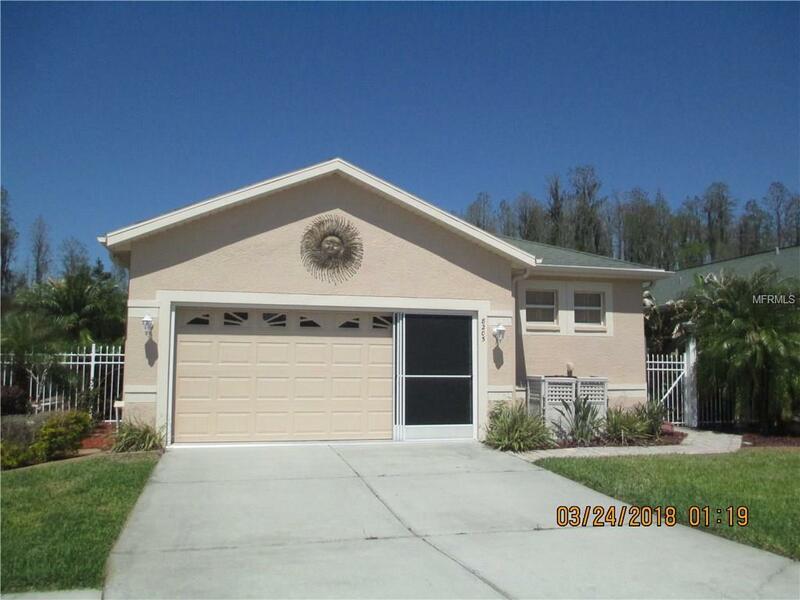 This location is convenient to both the Veterans Expressway as well as I-75. Pet Restrictions 2 Dogs. Must Be Kept On Leash. Listing provided courtesy of B.K. Wooldridge & Associates.